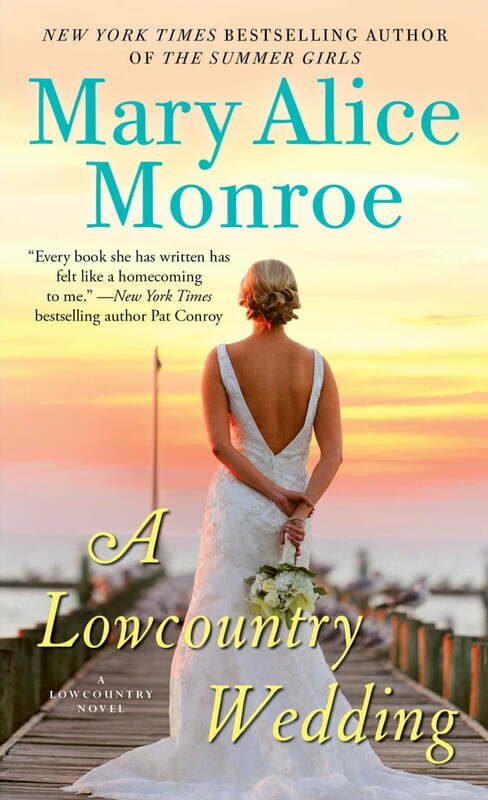 Wedding season has arrived in New York Times bestselling author Mary Alice Monroe’s fourth novel in the “distinct, complex, and endearing” (Charleston Magazine) Lowcountry Summer series, set against the romantic, charming Carolina lowcountry. Nothing could be more enchanting than a summer wedding—or two!—in storied Sullivan’s Island. A centuries-old plantation, an avenue of ancient oaks dripping moss, a sand dune at sunset… it’s all picture perfect, and half-sisters Dora, Carson, and Harper, and their grandmother Marietta “Mamaw” Muir couldn’t be more excited. Wedding dresses are picked, venues booked, and delectable cakes tasted. What could possibly go wrong? The answer, the Muir clan is soon to find out, is everything. Carson loves Blake, but struggles with giving up her independence. Harper questions if a prenuptial agreement will help or hurt the future of her marriage, and a newly unfettered Dora is uncertain whether she really wants to walk down the aisle again. Just when it seems things couldn’t get more complicated for the Muir sisters, a stranger arrives bearing a long-held family secret that has the potential to upset even the most carefully laid-out wedding plans. With the weddings mere weeks away, the invitations sent out, and the family in tumult, Mamaw and her Summer Girls discover the enduring and powerful bonds of family, and realize that, no matter how different each bride might be, she can still have her perfect wedding.